It's expected for an artist to sign his or her work in the bottom corner of a painting. 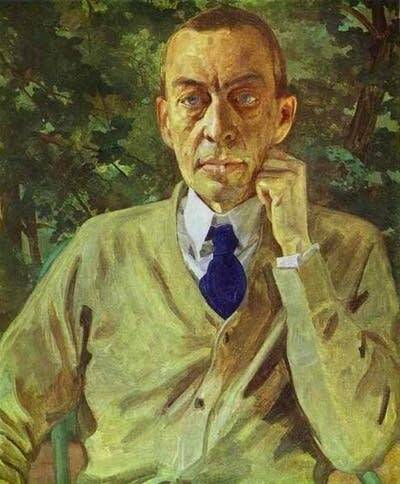 In this hour, the musical signature that Sergei Rachmaninoff used in a number of his works. It shows up at the end of his Second Piano Concerto. We'll hear a performance by pianist Alexander Kobrin and the KBS Symphony Orchestra of South Korea, and the sweet Schumann encore Kobrin played when it was over.